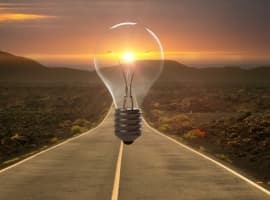 New solar generation capacity in the United States hit 55 percent of total new generation capacity additions in the first quarter of the year, despite the tariffs on imported PV panels that worried the industry, a study by the Solar Energy Industries Association and GTM Research revealed. At 2.5 GW new solar additions were up an impressive 13 percent on the year, SEIA and GTM Research said in their report, adding that the prospects for the medium term remain very upbeat. 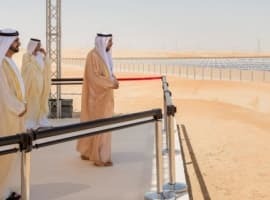 This year, new solar additions should be in line with the 2017 figure at 10.8 GW, but in 2019 new solar capacity will grow and this growth will only accelerate as we move into the next decade. However, after the introduction of the PV panel tariffs just two U.S. solar companies have cancelled projects worth as much as US$2.5 billion, a recent Reuters report said. That’s more than twice the US$1 billion in new local panel manufacturing spending announced after the tariff introduction. Last year, the report noted, solar developers installed US$6.8 billion worth of utility-scale solar capacity, but they enjoyed tax breaks and cheap imported Chinese PV panels. Now, as a result of the tariffs, GTM Research has lowered its annual forecast for utility-scale solar additions for 2019 and 2020 by 20 percent and 17 percent, respectively. Yet this just means utility-scale additions won’t be growing as fast as earlier expected. They will continue to grow as will non-utility scale solar capacity additions. There is no stopping solar, tariffs or no tariffs. True, the 30-percent levy—which will decline by 5 percent every year until 2022 when it will expire—has increased costs. The increase is about 10 percent, but it will decline with the tariffs. True, it will cost thousands of jobs, both existing ones and planned once as the solar industry had aggressive growth plans in mind before Trump decided to punish Chinese panel manufacturers. But one way or another, solar power capacity in the United States will continue to grow simply because there is no other way and the still active 30-percent federal tax credit for solar developers supports this argument. 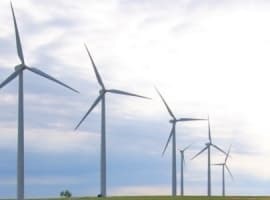 There aren’t scores of renewable energy alternatives to coal and gas plants and the renewable drive is gathering speed across the country, spurred by pro-renewables policies. You can basically choose between solar, wind, and hydro, and solar is perhaps the most flexible of these: the sun shines everywhere. The SEIA report confirms this: despite challenges such as the import panel tariffs and local issues with customer-acquisition rules for residential installations, GTM Research forecasts that total installed PV capacity in the States will increase more than twofold over the next five years, and by 2023, the annual rate of new installations will exceed 14 GW.